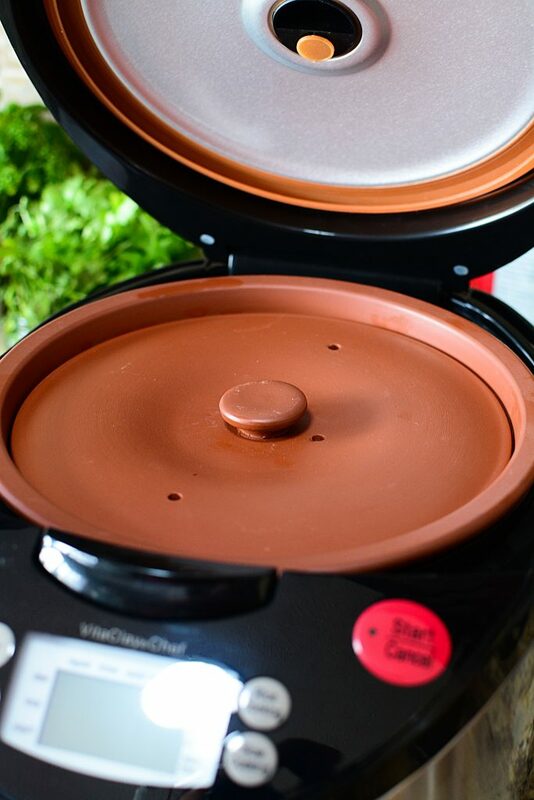 The VitaClay Chef Cooker – what’s the scoop? A while ago, a friend of mine introduced me to a company who produces this appliance called the VitaClay Chef . It’s sort of cross between an Instant Pot (through the use of LED screens and cooking concept using a cooking insert bowl) and a Slow Cooker / Crock Pot type of thing. She said the company was interested in asking me to try out a unit and give my opinion. I will state up front and honestly with you all – I did not pay for this unit, and it was sent to me to try out, as I mentioned. Before I move on, let me say this. You, my dear reader, are EXTREMELY important to me, and I will not mislead you or lie to you in order to be in the good graces of a company who might have sent me anything for free to review. You will always get my complete and honest opinion of ANYTHING I try out or review. 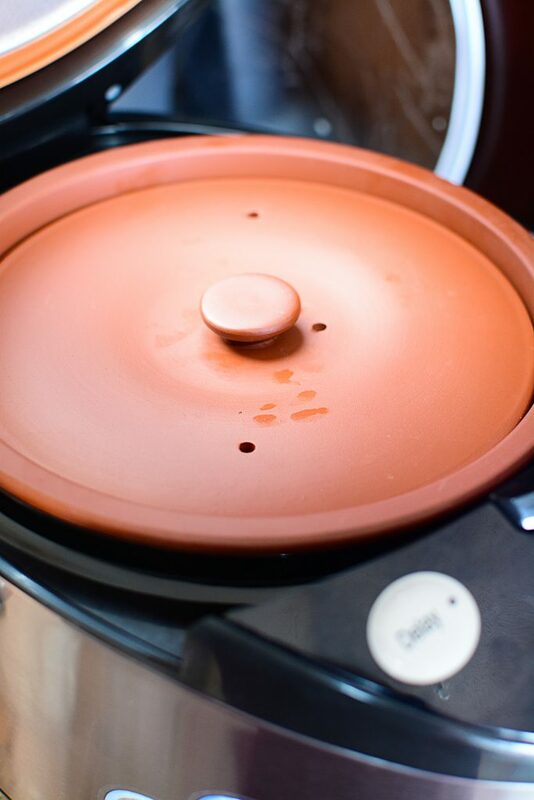 So, the whole premise of the VitaClay Cooker is that there is a clay bowl type insert on the appliance that is unglazed. It supposed to be a more natural way of cooking, much like a terrine or clay pot they used thousands of years ago, so this insert on the appliance holds the same concept. The pot is removable and has a flat fitting lid that goes over the clay bowl, and then the lid of the whole appliance covers that and seals everything in. The flavor and texture of the food is supposed to be superior to other slow cooker and Instant pot meals. 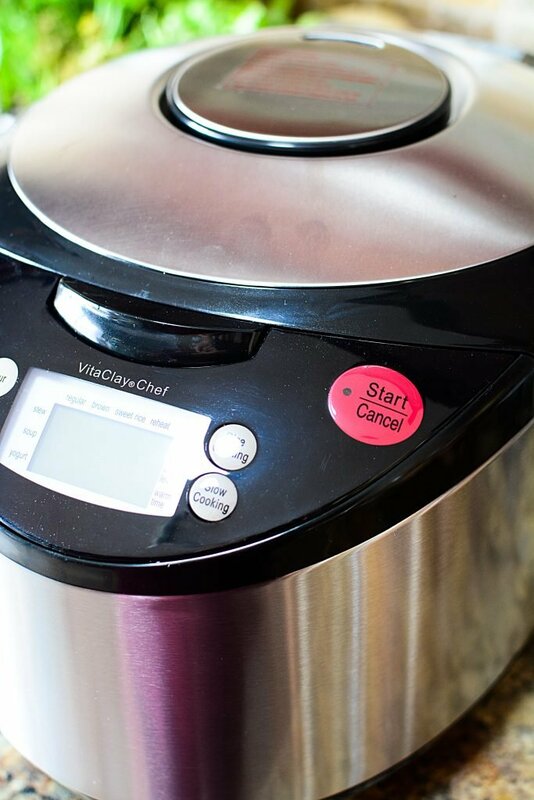 Why the VitaClay cooker over a regular slow cooker?? I wasn’t aware that there were harmful chemicals that leech into your food from a glazed slow cooker insert. I did some looking around and found a few different places that stated that well.. your slow cooker insert COULD contain lead…. or cadmium… or other harmful chemicals in the actual glaze that can easily leech into your food if there are even small imperfections from use, wear and tear, over time. If you wanted more information, this was a very good post that I found – click HERE. That is pretty disturbing to me, but I have to say, while I find that fact that the insert on the VitaClay is all unglazed clay, meaning it’s healthier to cook with, it doesn’t mean much if at the end of the day if the dishes you make aren’t delicious, right? The appliance comes with preset cooking settings that makes things pretty darn simple to set up. You can cook pretty much anything you do in your slow cooker, in the VitaClay cooker, and it cooks it 2 times faster!! And you can also cook YOGURT! Ok, so I thought I’d start out making a basic chicken bone broth. I had an old laying hen carcass that I bought from a local Hutterite colony. 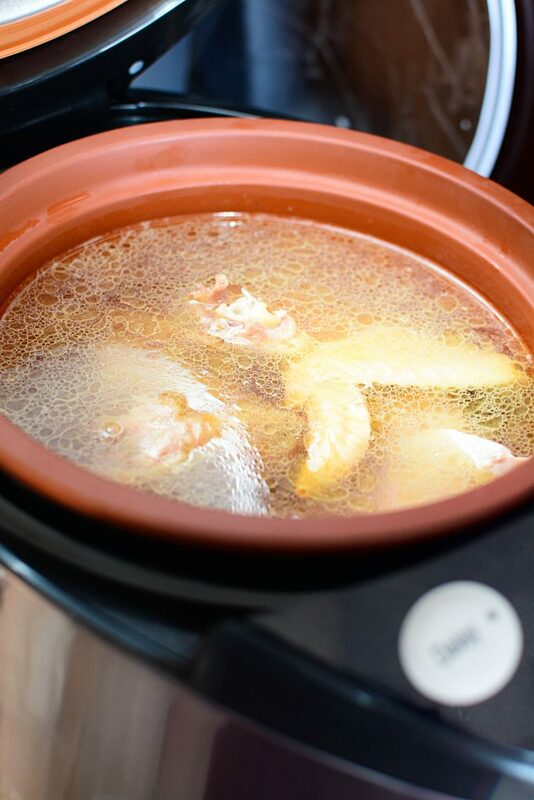 Old hens might not have a lot of meat on them like a regular, younger chicken – but the flavor for bone broth CANNOT be compared! Older chickens have much more flavor for broth than younger ones. So, I cut the chicken up and used no seasoning because I wanted to see just how much honest flavor this appliance could produce from one tiny hen. I placed the pieces in the unit and added enough cold water to almost come to the top. I programmed the machine to slow cook for 4 hours. My friend suggested to get the maximum flavor for your broth, to actually do 3 cycles of 4 hour slow cooks. (so, 12 hours). The cooker will default to “warm” if you aren’t around to reset it, which is a very nice feature I think. Cooking a chicken carcass for 12 hours is actually a normal time for me if I were doing it stove top. In fact, for me, I think nothing of even simmering very low for almost 24 hours. 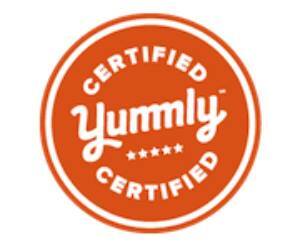 You maximize the flavor, extracting all the nutrients you can from the whole hen. I programmed it and cooked it as she suggested and honestly guys, I didn’t have very high expectations. 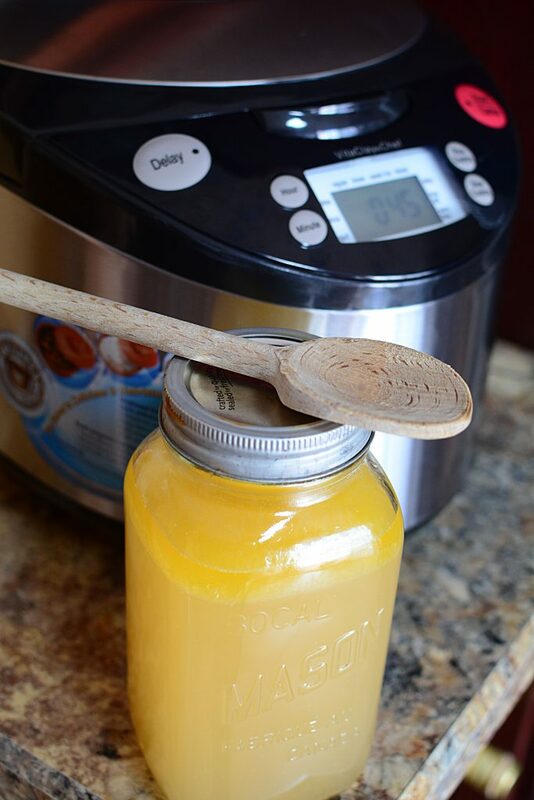 I find that making chicken broth using a stove top method the best way to go usually. But let me tell you…. I was pretty damn shocked at the quality of the final product for my bone broth. SERIOUSLY shocked. 4. and now, VitaClay slow cooker. The VitaClay does JUST as good (if.. not even better, I’d have to admit) than the stove top. What I like best about it is that it did it in a shorter time than had I made it stove top, and I didn’t have to keep watching it every hour to make sure it wasn’t boiling over or depleting in liquid, etc. When I was done, the recipe made 1 full quart plus a pint and a bit (so 6-7 cups) of excellent bone broth. Next, I made rice. My friend said she thought it made the very best rice ever. I thought … ok.. what’s to making rice, really? 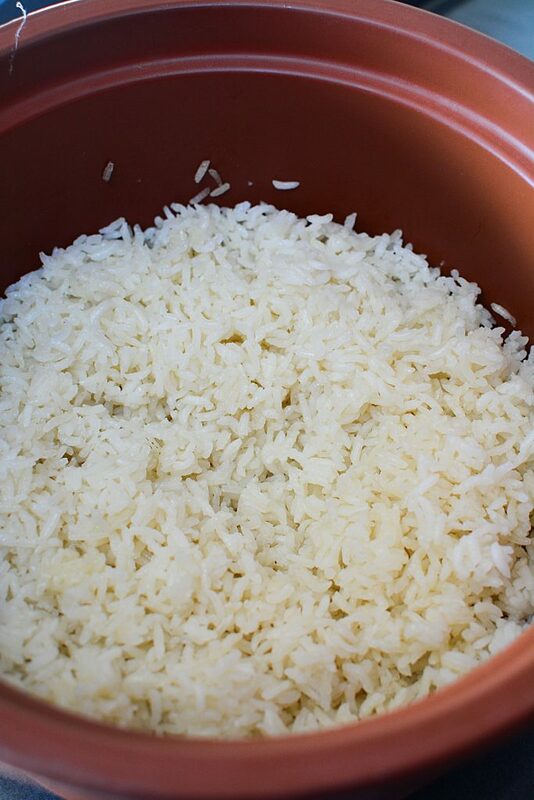 I have a rice steamer that makes perfectly good rice – no complaints. I made the rice according to the directions (one for one measurements) and instead of using water, I used some of the bone broth I made the day before. And honestly, I am telling no lies when I say this rice was SCRUMPTIOUS. I have to laugh as I type this because I’m almost embarrassed at how “infomercial” I sound, but I swear that I’m telling you the absolute truth. This VitaClay chef machine makes the most kickass rice EVER. The rice granules didn’t stick together, it wasn’t starchy tasting, and the rice was fluffy and plump. (hahaha.. plump rice?? but it’s true!!!). I set it for 45 minutes and it literally makes excellent, excellent rice! So then, I thought, ok,… how about CAULIFLOWER RICE??? The following week, I riced some cauliflower, added some butter, a bit of water and some chili lime seasoning. Mixed it all together, and cooked according to the directions I read. I thought it turned out great. My only issue was that it produced a lot of extra water, which when I make it again, I’ll be sure to add less water. However, having said that, they said that if does turn out watery, to leave it on a “slow cook” function, with the lid off, and let some of the water boil off. I did as instructed and it turned out SOO YUMMY!! 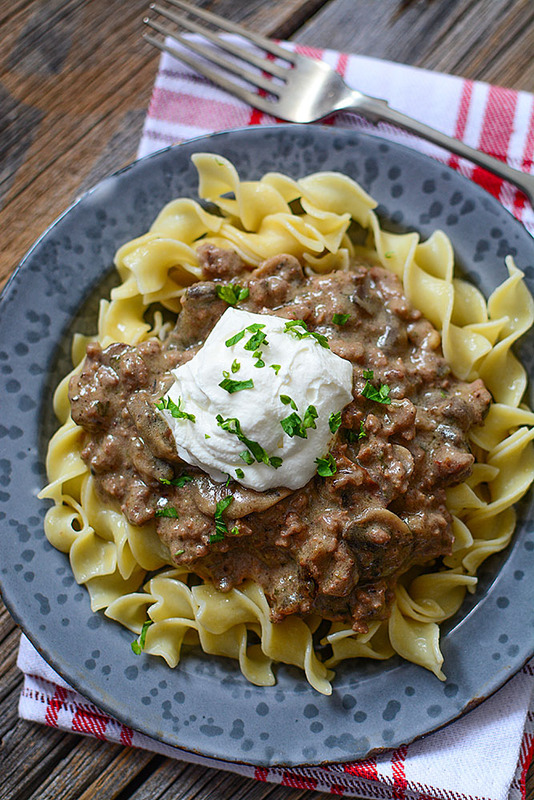 My last dish I tried out so far has been a Ground Beef Stroganoff. I thought, well, if I can boil off excess water in from the cauliflower, then I wonder if i could fry beef in it? So I tried it out. I will say that the beef took slightly longer to fry in the VitaClay Chef. Truthfully, it’s not designed to fry beef and I’m sure the manufacturers would not recommend you do as it you risk cracking the clay insert, but I just had to push the envelope and try it, and it worked!! But seriously folks – don’t do this at home. LOL. 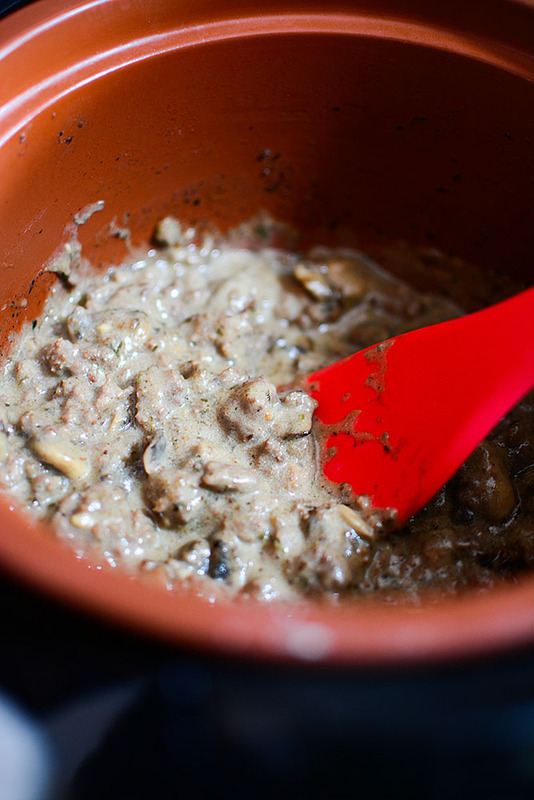 The flavor of the stroganoff was really wonderful. Rich and beefy, but creamy from the sour cream. The beef itself was not tough at all, it was nice and tender, but didn’t get mushy or dry tasting like it can get in some slow cookers if you overcook it. The pasta, honestly, I cooked it separately because I wasn’t sure how to cook them all together successfully yet. I know it’s possible, but I just haven’t tried that out yet. 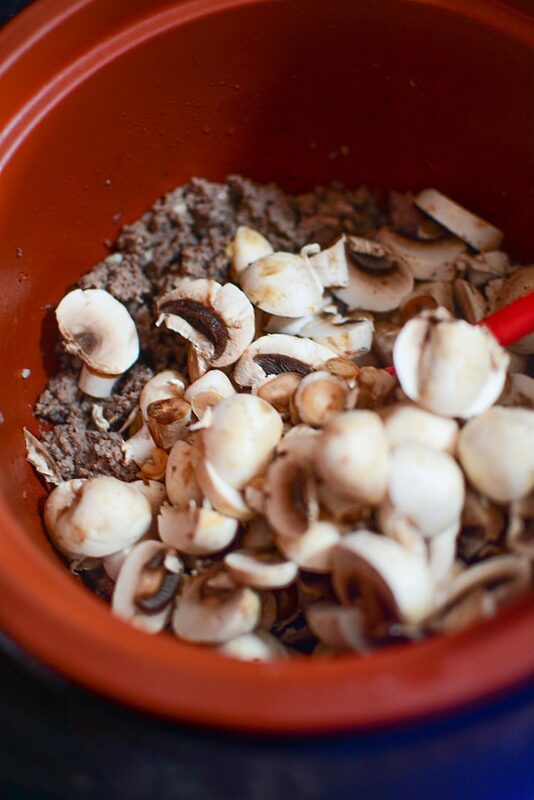 This dish was easy as throwing everything in the pot, the beef, the mushrooms, mushroom soup, seasonings and then letting it cook! 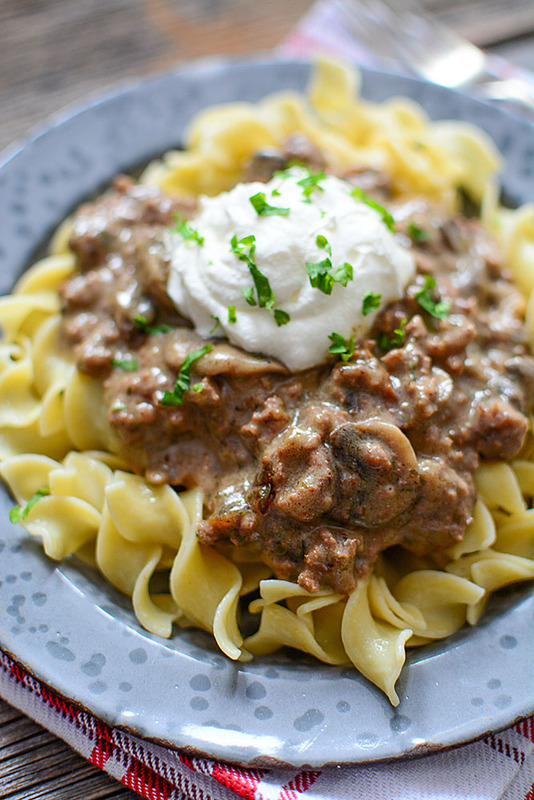 I added a tiny bit of sour cream as you traditionally do with stroganoff and I seriously couldn’t have been happier with the dish. I do plan on doing a beef stew in it, and I’d also like to do a curry dish as well. As I do a few more of these dishes, I’ll amend this post and update you all to my experiences! Ok, so here are my dislikes about it. 1. When you open the outer lid after the cooking time is up, the condensation from the cooking runs down the back of the lid and drips onto the counter. It’s not a big deal though. Knowing this, the second time I cooked with it, I simply wiped the lid as I opened it, and then quickly wiped up any water that dripped under the lid on the counter. It was minor issue. 2. The unit itself takes up a bit more room than your conventional slow cooker, however, again, it’s not something I can’t adjust for and live with. 3. I don’t like that you can’t bake bread in it. However, again, it’s only because of my newfound discovery of baking bread in a slow cooker that I did a post about HERE. At the end of the day, baking bread using the traditional way (in the damn oven lol) is just as fine! All in all, in the beginning, I was pretty skeptical about the VitaClay Cooker. I thought it was just another fancy slow cooker. But so far, I have to say that I’m honestly quite impressed with the dishes that I’ve made with it so far. The health benefits are a huge added bonus of course, but as I said earlier, if it destroyed the integrity of the dish, there would be no point to using it, so taste and texture come first. 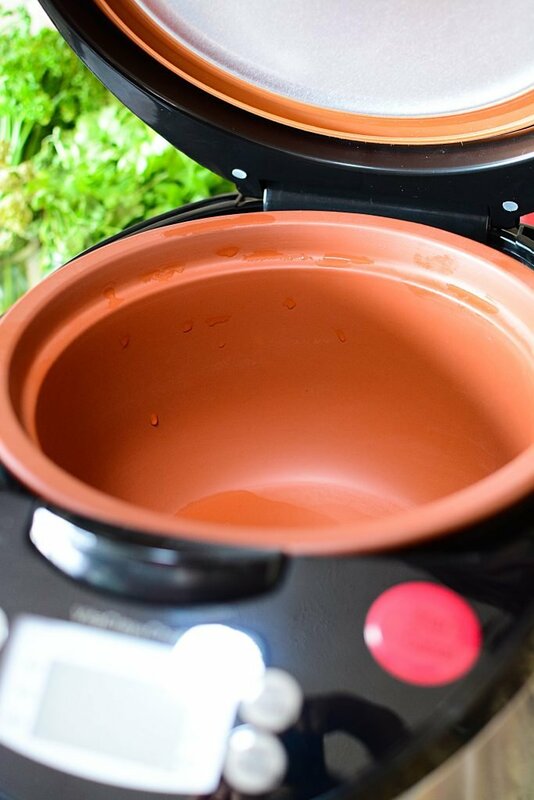 I would definitely recommend getting one if are interested in the health benefits of natural cooking and you like the convenience of a slow cooker concept. If you have any questions or concerns about the VitaClay Chef Cooker, please feel free to drop me a quick note, and I’ll respond as quickly as I can with your answers. If you’re looking to order one for yourself, please visit www.vitaclaychef.com and look at which size might suit your family best. I’m currently working on getting a coupon code for all my readers to receive a discount, so please hold tight to save some money! Thanks again so much for stopping by The Salty Pot, and I hope you all have a great day! Are ceramic coated pots made with chemicals and do they leach during cooking? So, there’s a lot of controversy regarding this topic, but if you wanted to read more about it, I’ll link an article for you, plus if you want to spend some time googling, you’ll be able to read more information on both sides of the argument. Personally, I still use my crockpot, but I’ve also inspected it very well, and if I see anything sketchy with it, such as slight cracks or nicks, I’m letting it go. I find the biggest benefit of the Vitaclay is how good whatever is cooked in them, turns out. I was really impressed with the things I made! oh, also i was wondering if you were able to set the vita clay to 12 hours, or if you had to be there to restart the 4 hour cycle after the 1st one ended? As for the time, it depends on if you’re cooking it on high or low. Higher temps, it will only cook for a fewer amount of hours, lower temp, longer hours. That being said, after cooking time is up, it will switch to a warm setting, and it will hold that temperature for a fairly long time. Hey Allen! Thanks for writing in! So hmm… good question! As for the technical heat that each appliance raises to, I’m really not sure. They both cook beans and roasts well, but the IP is faster than the Vitaclay. That being said, the Vitaclay is faster than a slow cooker, so it’s sort of that in between type thing. Also, you’re not supposed to brown anything in the Vitaclay, even though I pushed the envelope and found that it could brown nicely. Thing is, the clay insert really isn’t made for browning, and you could risk a crack, but I really wanted to see what it could do. The IP, you can brown things before you cook them, (on the saute function), so there’s that. The main difference is that honestly, I believe that if I had to choose between the two, and cooking TIME wasn’t an issue, then I’d wholeheartedly go for the Vitaclay. I like the concept of cooking in the clay insert, I believe that it imparts a MUCH better flavor to things (ESPECIALLY bone broth!) than the Instant pot. One last thing I’d like to mention is that there is a new kid on the block, the Ninja Foodi, which does everything that both those machines do and more. (pressure cooks, browns, bakes, broils, crisps, air fries, slow cooks, etc). Now, it’s also more expensive than those other appliances, so if budget is part of the equation, you’d have to consider that. But in my opinion, again, the Vitaclay wins hands down over the Instant Pot in flavor of the finished dish, every single time. I wish someone can convince the manufacturer to make a version for 240v countries. I have wanted the Vitaclay ever since I have known about it. Cannot buy it because the voltage is not suitable!! Thank you for replying Li! Can you use a converter?